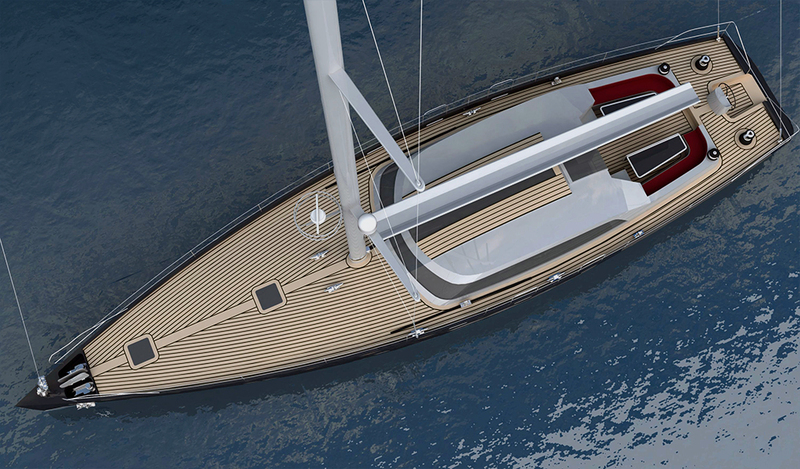 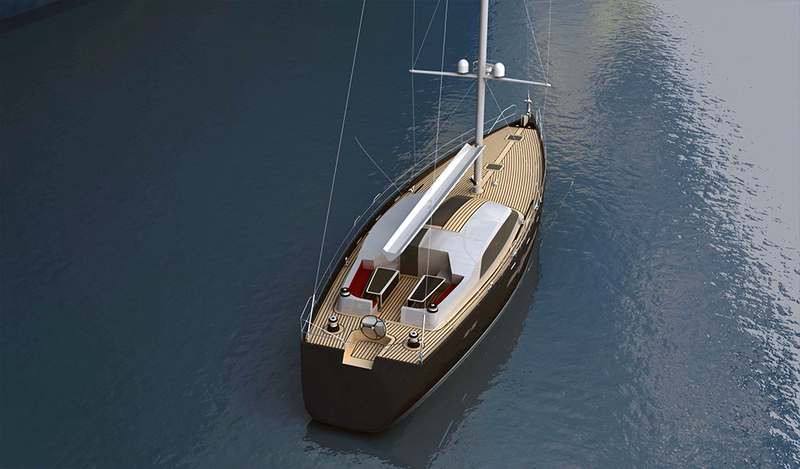 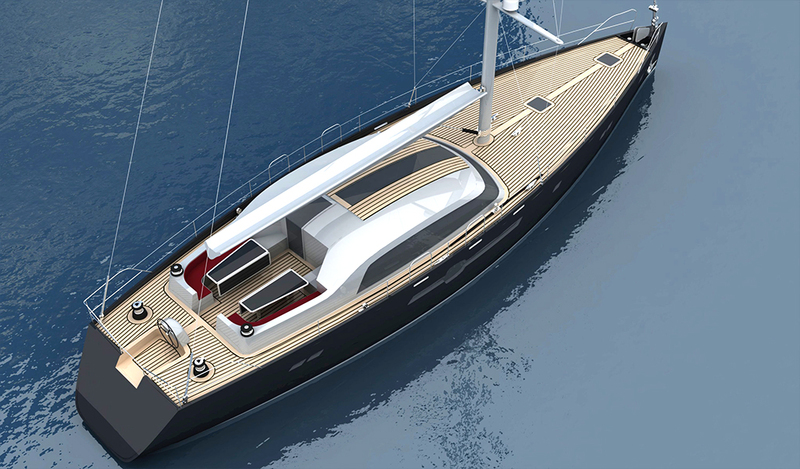 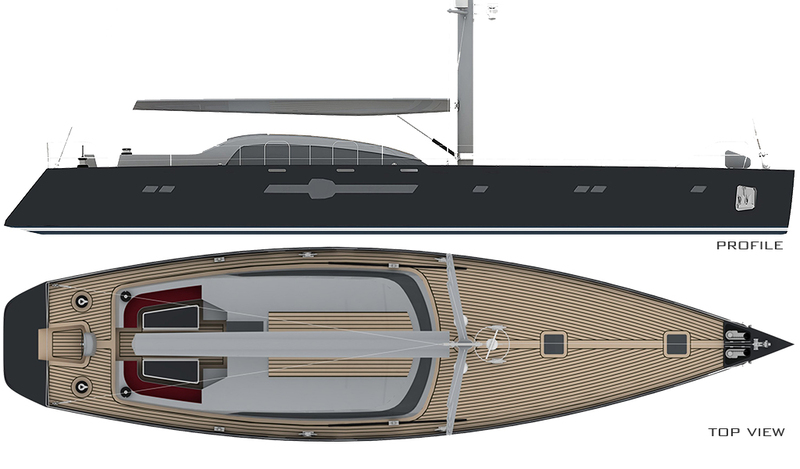 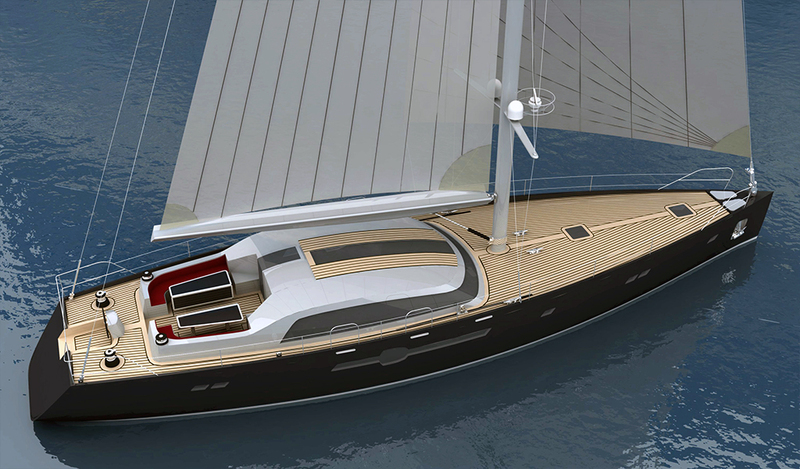 With her nearly vertical bow, outstanding sheer and lowered superstructure, the 24m project is designed as a modern performance sailing yacht. 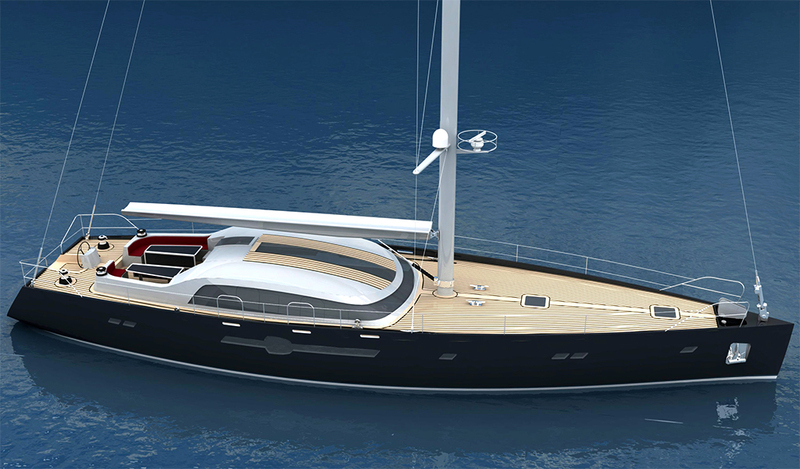 Her impressive, simple lines and unusual porthole design gives her an aggressive and modern appearance. 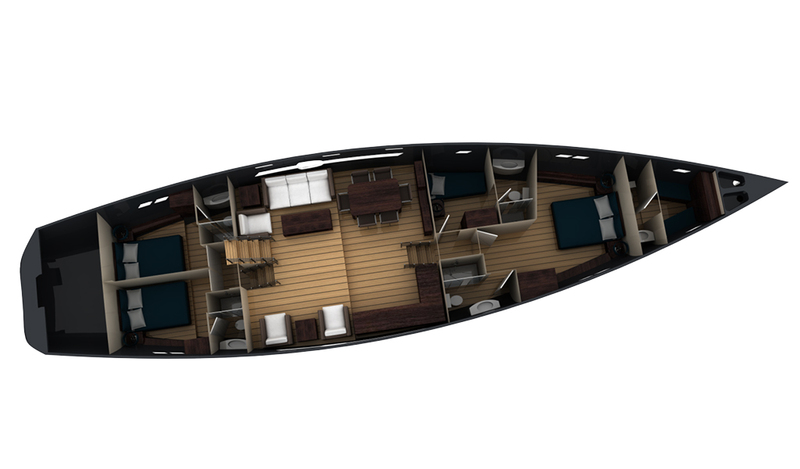 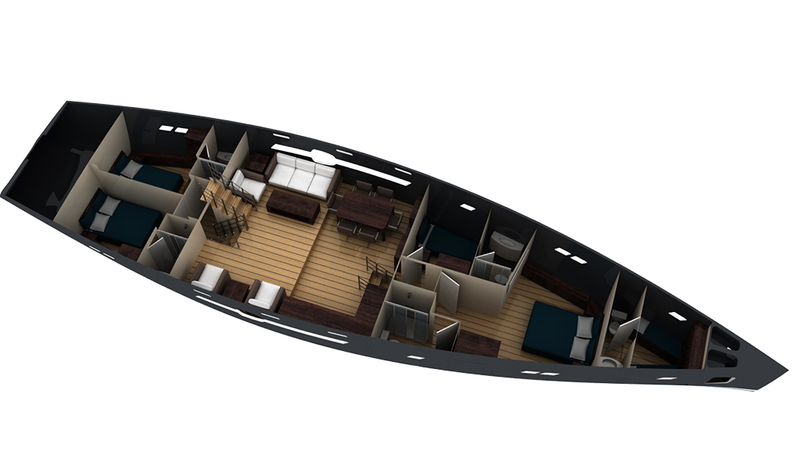 She can accommodate 7 guests in 1 master and 3 guest cabins.